CIHEC, founded in 1952, is the international organisation of historians of Christianity, and is affiliated to CISH – the International Committee of Historical Sciences. The next Annual General Meeting and Conference will take place in Lyon, France, 11-13 June 2019. CIHEC is the international organisation of historians of Christianity. Its aim is to extend knowledge and understanding of Christian history in all periods, from the earliest years to the present day and in all parts of the world, by promoting contacts between historians in different countries. It does this mainly by organising conferences and providing information about other forthcoming events. CIHEC comprises thirty-one national commissions. CIHEC had its origins at the International Historical Congress held in Paris in 1950. The founders came from France, Belgium and Germany. It was part not only of the revival of scientific activity after World War II, but also of the new initiatives directed at peace and understanding. It aimed to promote international co-operation and also religious co-operation between those who had regarded one another as enemies. It aimed to bring together historians from nations on both sides of the recent war. It also brought together historians belonging to different religious confessions, who had previously belonged to separate denominational organisations, and often had had little contact with one another. Over the years, old divisions have largely disappeared but new divisions have arisen. Historians of Christianity belonging to many different nationalities, and with many different religious or non-religious affiliations, work together happily. But they have faced , and may still face, acute difficulties within their own countries, whether because of obstructions imposed by the state, or from lack of resources. The challenges change, but the need for international collaboration and mutual support continues. 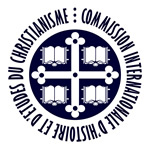 CIHEC began as the Commission Internationale d’Histoire Ecclésiastique Comparée (International Commission for Comparative Ecclesiastical History). In 2007 the full title was changed to Commission Internationale d’Histoire et d’Etudes du Christianisme. (International Commission for History and Studies of Christianity). This reflected the recognition that ‘Ecclesiastical History’ had come to be seen as too much focused on the church as an institution, and especially on the history of church leaders and theologians, whereas the history of Christianity had come to encompass a much wider range of themes, including especially the beliefs and experiences of the mass of ordinary Christians in all parts of the world. CIHEC aims to interpret Christian history in the broadest terms, including both the newest and the more traditional themes and approaches.